To make it easier for NHS pension scheme administrators to submit employee’s contributions to reduce extensive clerical processes and late payments. Around 2150 of these Employers submit contribution details using paper based means, including emails and spreadsheets. 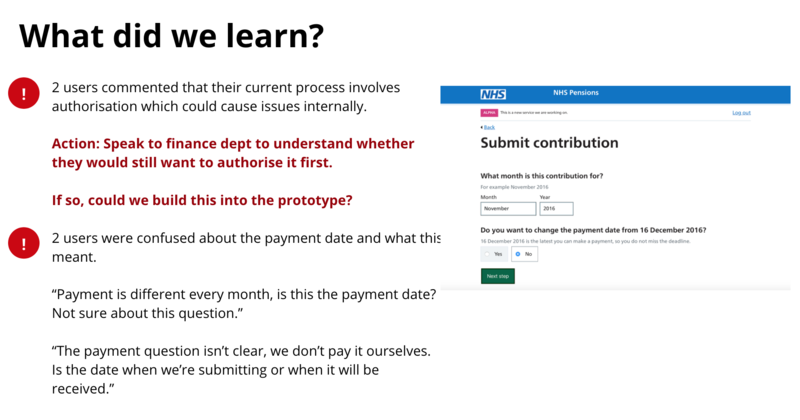 These paper based submissions result in NHSBSA Pensions needing to carry out extensive clerical processes to reconcile and match submissions and payments, often resulting in late payment and interest charges being incurred by the Employer. Look at how different NHS employers were currently submitting contributions to understand the pain points in the journey. Look and how we can design a way of submitting contributions that will reduce errors currently due to human intervention. 1) I spoke to 48 NHS Pension Scheme Administrators. Types of users included: Large trusts, GP practices, Directional bodies (Not part of the NHS however provides NHS related services). 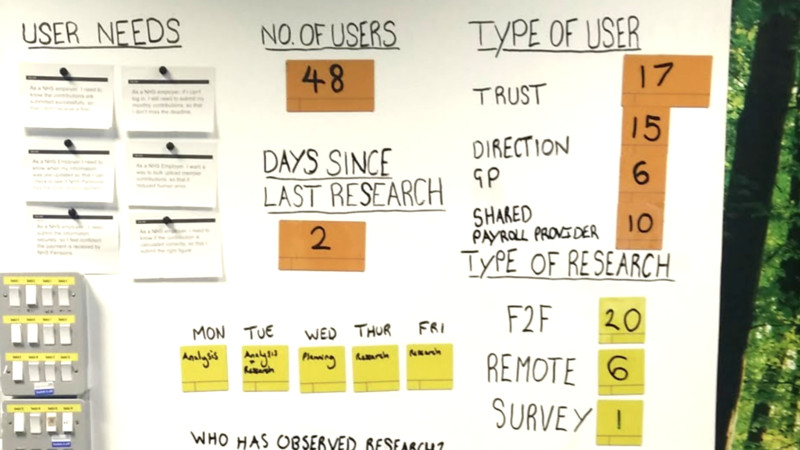 Types of research included: Face to face interviews, Call centre listening, journey mapping, prototype testing. 2) I started by understanding the different processes and the current pains in the journey. On a whiteboard or paper I asked users to write each stage of the task, what they are doing and thinking at each step in order to get an overall understand of the process. We learnt the process differed a lot between all organisation types when it came to authorisation and thoughts on the process. Payroll providers submit pension contributions for up to 600 organisations. They currently have to log in and out of the existing system to submit the contributions there has been issues with submitting contributions for the wrong organisation. We found that Direction Bodies currently submit the contributions manually. The process was not very secure (due to emailing this information to NHS Pensions). There was also a lack of audit trail and transparency compared to the other pension schemes that they manage. We found that Trusts and GPs had a similar process and work ow, both organisations have access to the existing digital service. Although they mentioned they did not have any major issues with the process they felt it lacked feedback and could be sleeker. 3) We followed with further interviews to validate what we’ve found from the journey mapping. After further 1-1 interviews with the Pension Scheme Administrators we established a list of user needs from the new service. To know what they were submitting was accurate, so that they feel confident that they are submitting the right contributions. 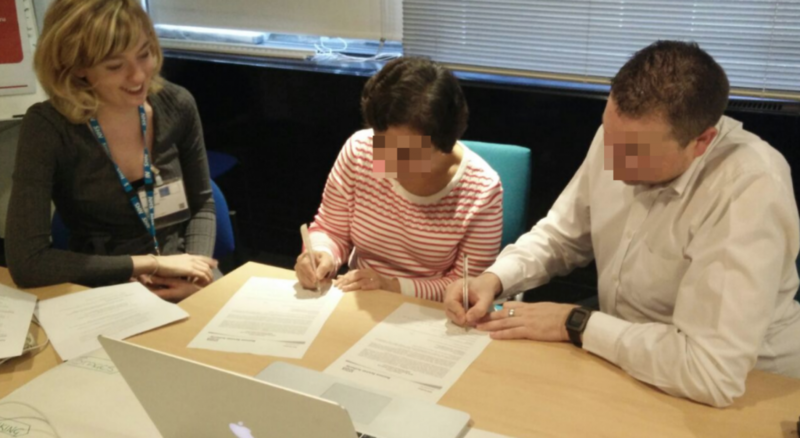 To be able to submit the monthly contributions on time, so that they don’t receive a fine. To submit the information securely, so that they feel confident the payment is received by NHS Pensions. To access previous submissions, so that they can query a previous submission. To spend less time submitting the contributions, so that they can fulfil their other work responsibilities. To be able to schedule when the contributions are paid over to NHS Pensions, so that it suits their organisation’s financial management. 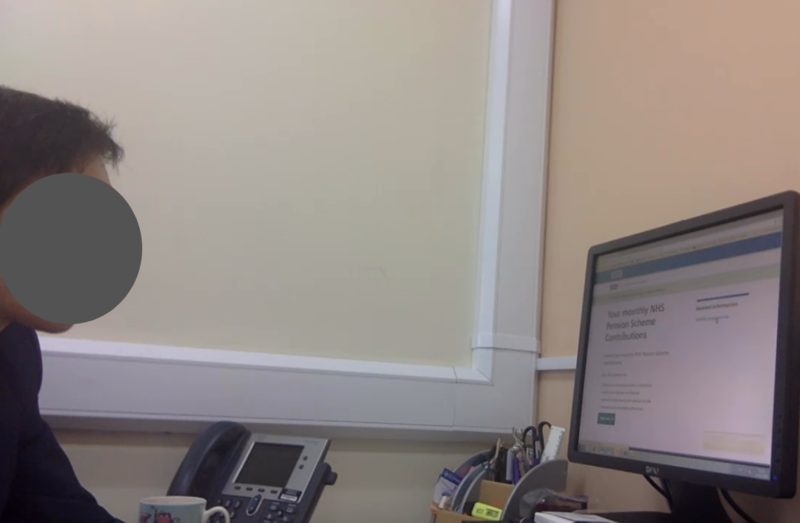 Interview with 2 Pension Scheme administrators at NHS. 4) We designed, tested and iterated our prototype. When tested the prototype every 2 weeks iterating the prototype based on what we found, we travelled and tested the prototype in the users own environment to get a sense of how they might use it naturally. Testing the prototype with a user at a GP practice. We learn that seeing previous contributions was important to users for auditing processes. We also found that the date selection was confusing for users, it was important for them to be able to schedule payments and know exactly when it was going to leave the organisations account. A slide from a findings presentation. We passed our formal Government ‘Alpha assessment’ which meant we were able to proceed to ‘Beta’.